What’s the latest in hemophilia therapeutics? Why could nanobots be the future of medicine? 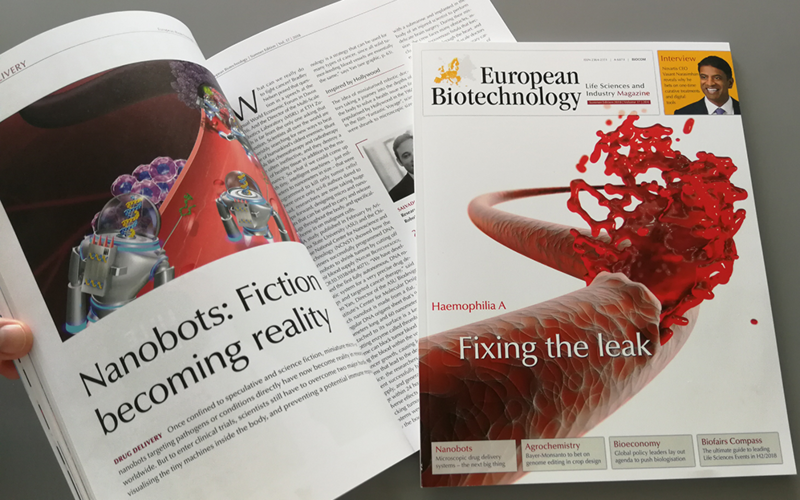 These are just two of the topics covered in the freshly printed issue of European Biotechnology. Other reports deal with the upcoming merger of Bayer and Monsanto, the first approved mesenchymal stem cell therapy and the latest in the bioeconomy. In an interview, Novartis CEO Vasant Narasimhan explains why he believes in one-time curative treatments. On the regional pages, the magazine contains news from northern, southern, western, eastern and central Europe. Readers can find out about current clinical studies or plan their events with the Biofairs Compass.